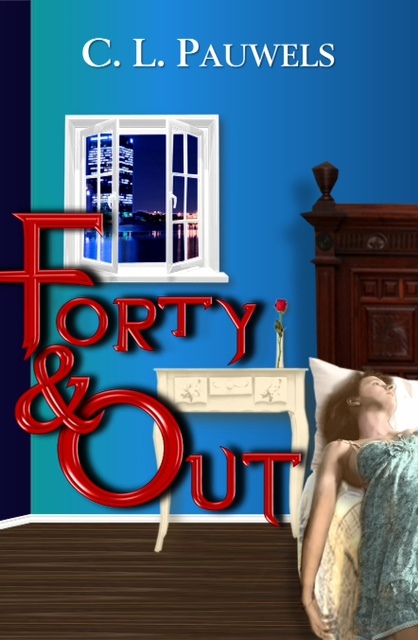 Thanks to the creative efforts of the talented cover designer at Deadly Writes Publishing, my debut novel Forty & Out has a fantastic look – I’m so excited! Here’s a teaser: Someone is targeting Toledo’s single women when they turn forty, tucking them into bed and turning birthday greetings into obituaries. Newly-assigned Homicide Detective Veronica Jadzinski vows to prevent the body count from increasing and to prove her transfer from Narcotics wasn’t a fluke — departmental regulations, disparaging lieutenants, and a rigid new partner be damned. Watch for Jadz & company to be released into the wild in September. Details as they are finalized. Pre-orders available now at Deadly Writes Publishing. Jadz is waiting for you! This entry was posted in Uncategorized and tagged cover launch, crime novel, Toledo, writing. Bookmark the permalink.